currently under construction at 56 West Huron Street, Chicago. The development is scheduled for completion in 2019. Sales for available units range in price from $1,395,000 to $1,995,000. 56 W Huron has a total of 11 units. Sizes range from 2190 to 4312 square feet. 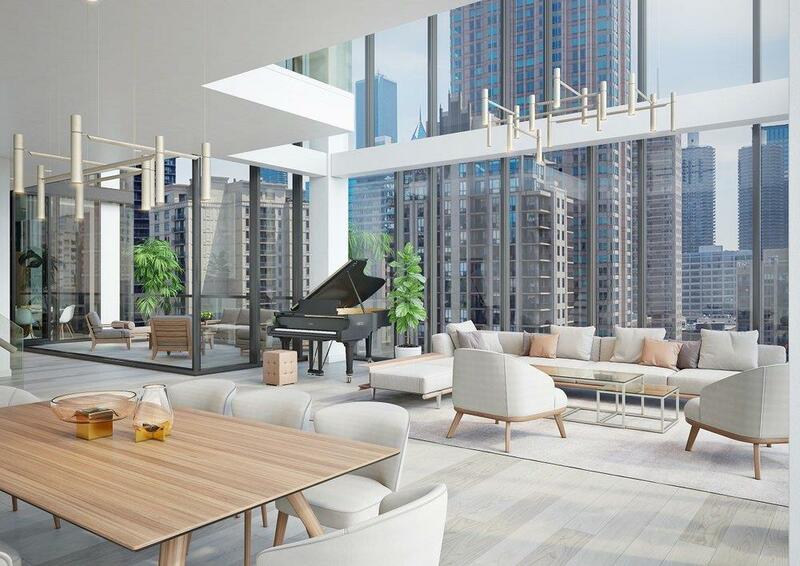 Located on a quaint, tree-lined street, 56 W Huron uniquely evokes luxury and elegance in this quiet enclave of River North bordering the Gold Coast. The thoughtfully designed interior layouts blend effortlessly outside to the large and private terraces. The kitchens are an entertainer’s dream, effortlessly maintaining the intimacy and elegance of the boutique design. The chef-inspired open kitchen adorns top of the line design and appliance choices. Featuring Gaggenau stove with direct vented hood, refrigerator, dishwasher and oven. Flex space perfect for office, study, walk-in pantry, or bar/wine storage. The expansive terrace features electric, gas, and water. The bathrooms throughout each residence are cutting edge, designed with the highest quality finishes and features. Master Bathroom: the frameless glass shower is complete with dual shower heads, and is complemented by a gorgeous free standing soaking tub. Additionally, fixtures by Toto and Grohe complete the luxe space. Hand-selected Italian porcelain surrounds the space, anchored by custom floating vanities. All three bedrooms feature en suite bathrooms, custom closets, and solid core 8' doors. 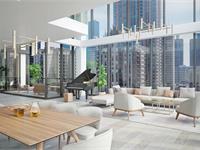 Your inquiry will be delivered to the 56 W Huron sales team, who will send you more information about this development.